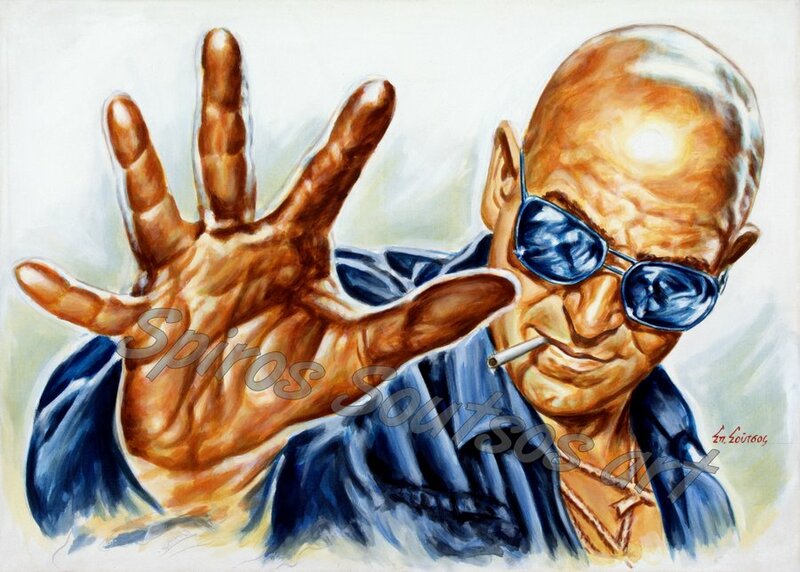 Telly Savalas (Αριστοτέλης “Τέλλυ” Σαβάλας) born in 21 January 1922 was an American film and television actor and singer, whose career spanned four decades. Savalas began his career as a character actor on television series during 1959 and the 1960s. While playing Lucky Luciano on the TV series The Witness, he was “discovered” by actor Burt Lancaster. He appeared with Lancaster in four movies – the first of these was the crime drama The Young Savages (1961). After playing a police officer in this movie, he moved on to play a string of heavies. Once again opposite Lancaster, he won acclaim and an Oscar nomination for Best Supporting Actor for his performance as the recidivist prisoner Feto Gomez in Birdman of Alcatraz (1962). In the same year he appeared alongside Gregory Peck and Robert Mitchum in J. Lee Tompson’s classic thriller Cape Fear (1962) as private detective Charles Sievers. Savalas shaved his head for his role as Pontius Pilate in George Steven’s The Greatest Story Ever Told (1965), and decided to remain shaved for the remainder of his life. Savalas played along with Lee Marvin, Charles Bronson and John Cassavetes in The Dirty Dozen (1967), the war-action film by director Robert Aldrich. He later returned to play a different character in two of the movie’s TV sequels – The Dirty Dozen: The Deadly Mission (1987) and The Dirty Dozen: The Fatal Mission (1988). He co-starred with Burt Lancaster for the third time in The Scalphunters (1968), a comedy western that looked at racism during the Civil Rights movement. Two more appearances in comedies for Savalas were as Herbie Haseler in Crooks and Coronets (1969) and opposite Clint Eastwood in Kelly’s Heroes (1970) where he played the hard-as-nails company sergeant “Big Joe”. His other movie credits include supervillain Ernst Stavro Blofeld in the James Bond film On Her Majesty’s Secret Service (1969), Pretty Maids All in a Row (1971), Inside Out (1975), Killer Force (1976) and Escape to Athena (1979) with Roger Moore. Savalas’s best-known role was as the star of the tv series crime drama Kojak. The series originated with the TV movie pilot The Marcus-Nelson Murders (CBS, 1973), which was based on the real-life “Career Girls Murder case”. Savalas’ character was named Theo “Kojack” in his first appearance. Savalas died on January 22, 1994.